** Update – Another round of extras try outs is scheduled! see the information below. Do you love the “Jurassic Park” movies? “Jurassic Park 4: Jurassic World” is bringing on the dinosaurs and they will most likely be more realistic than the originals and now… they will be in 3D. Here is your chance to be in the “Jurassic Park” movie because an announced open call is looking for lots of paid extras of all ages to be in the film. The 4th installment of the killer franchise is set on a new island 22 years after the original Hammond attraction. 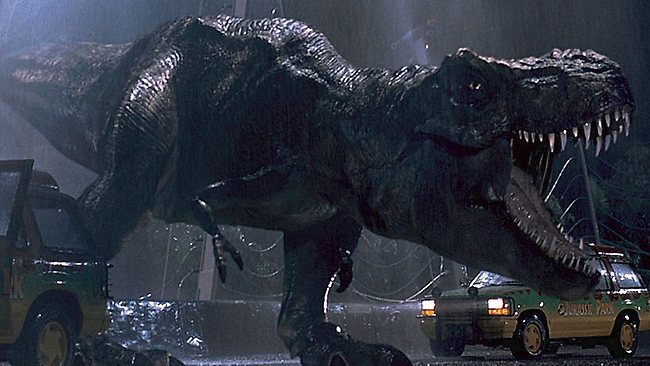 The original “Jurassic Park” came out in 1993 and was the highest grossing blockbuster at that time. By 2015, it will actually be 22 years later and not just in the film. The movie will bring in scarier dinosaurs and it is rumored to have one that is bigger, tougher and scarier than the movies classic T-Rex. Also, there are rumors that there will be some water dinosaurs as well. This is a highly anticipated film that will be a huge amount of fun to watch, hopefully more fun than the original “Jurassic Park” which I really loved. The film’s plot is being kept a secret for now but so far ‘Jurassic World” has cast Chris Pratt, Bryce Dallas Howard, Nick Robinson, Ty Simpkins and Jake Johnson. The movie begins filming shortly and is scheduled for a summer 2015 release. 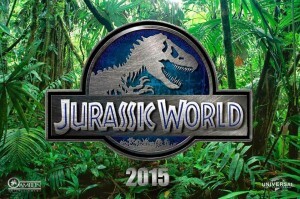 Universal Pictures did announce that it will release Steven Spielberg’s “Jurassic World” in 3D – Friday, June 12, 2015. Wow, we have over a year to go! So if you want to be in the Jurassic World movie and get to be on a movie set pretending to be scared by dinosaurs, here is your shot. The new dinosaur movie will be filming in Hawaii . Previous Jurassic Park movies had also filmed in Hawaii and the islands provide a great location for a tropical jungle. The movies are based on the dinosaur books by Michael Crichton. The Jurassic Park 4 film is looking for Hawaii locals to work as paid extras on the set. There will be a second open call on Sunday, March 16, 10:30 a.m.-3:30 p.m., at Kauai Community College’s performing arts center. All ages and ethnicities are welcome to come and try out for a chance to be part of “Jurassic World”. Casting directors are especially interested in seeing families with children ages 6 to 17, twin children ages 6 to 15, and people who look like they’re in the military. So leave a comment and tell us what you think of the new “Jurassic Park” movie. This is something I could put my all into. I have always been interested in the Jurassic Park franchise. I enjoyed the Jurassic park movie! I would love to have a chance to audition for this movie. Hi my name is Armando Reyes, I’m 16, brown skin, black hair, dark brown eyes. I love dinosaurs and I love acting. I like to be chased and acting dramatic or killed, it’s in my nature of horror or drama. I would love to audition for this cast, so please email me asap thank you.